If your child loves to put on fun costumes and dance, tumble and cheer, they will love hosting a cheerleader-themed birthday party for all of their friends. 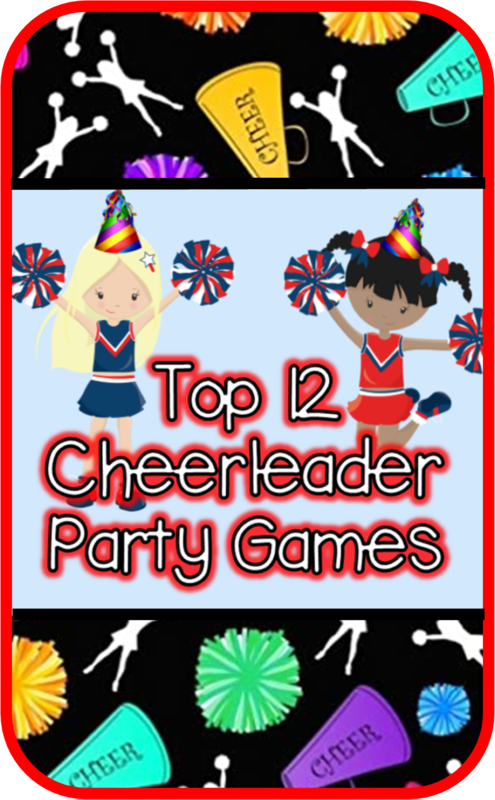 These cheerleader party activities are fun and physically active while also promoting teamwork and creativity. Cheerleaders must be physically active, creative, and must work well as a team. A cheerleader-themed party will combine all of these qualities with fun and simple activities that are sure to please any child. The first thing your guests will need to be cheer-ready is a great costume. Provide a plain white t-shirt or tank top for each guest, and let them have fun decorating with fabric paint, Sharpie markers, sequins, ribbons, and any other craft materials you have on hand. When everyone is finished, have each guest do a quick 'runway walk' to model their creations, and hold a vote on their favorite design. Winner gets a prize! Make sure your guests are performance-ready with this fun makeup relay. Each guest sits with a partner and takes turns doing makeup on each other. But there's a catch - after 3 minutes or so, each guest needs to switch partners, continuing their makeovers with someone else. This will make it more fun and fast-paced than traditional makeovers and allow all of the guests a chance to interact with each other. Cheerleading can get competitive, so it's important to know your friends and teammates always have your back. Cut out large megaphone shapes out of construction paper and give one to each guest. Have the guest write their name on their megaphone and pass them around the circle. Each guest will sign everyone else's megaphones with their name and a short, positive message, like in a yearbook. ALTERNATIVE: If you are not into making your own megaphone I discovered this megaphone craft on Amazon. 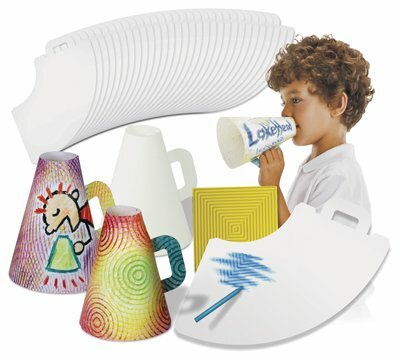 Each guests can decorate their own megaphone (the set comes with 33) or they can sigh each others megaphones. Perhaps with glue that you can sprinkle glitter on to add extra pizazz, be careful though lose glitter never seems to want to go away - glitter glue pens are much less mess. Once they are one decorating the craft folds together and hooks to make a cool keepsake memento. Have all the guests sit in a circle. The birthday child starts by saying the first word in a cheer, then, working clockwise, have each guest continue the cheer, saying only one word at a time. This can get silly fast! Have an adult write down the cheer as it's created to read out loud later. For more fun, have a volunteer read out the finished cheer to the group while creating on-the-spot cheer actions to go along with it. Split the party guests into teams and assign each group a song. 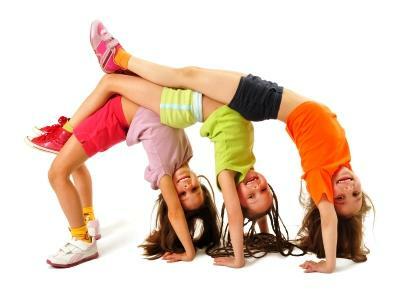 Each group then has a set amount of time to create and practice a cheer/dance routine together. Make sure to rotate through the groups as they prepare to answer questions or help if they get stuck. Then, invite the guest's parents to come at the end of the party and watch all the groups perform. You can give prizes to the best group, or keep it 'just for fun' and give everyone a participation prize. Music is a big part of cheerleading, so to test their knowledge, split the guests into teams and play them a few seconds of a popular song. If the first group can't correctly identify the song title and artist, the next team has a chance to guess. If none of the groups get the right answer, play a few more seconds of the song until it is guessed. Each group earns points for every correct guess, and the winning team wins a prize. Advanced cheerleading requires very precise movements and stunts that can be dangerous if there is no understanding and trust between teammates. While eating or doing another stationary activity, guide the conversation by asking a few get-to-know-you questions. The goal is to encourage the kind of team spirit and trust that will be crucial later in their cheer careers. Try asking questions about everyone's dreams and goals, both in cheerleading and in other areas of life. Another game that inspires trust is the trust course. Create a short easy obstacle course where players must walk around something, over something, under something, and through something. At the end of the obstacle course have a set of pom-poms (or something similar) that players can grab for victory. To play divide players into teams of two. One player will be blind-folded while the other must guide that player through the course using only their voice. Then the players switch. Make sure to time each turn then add both of the teams runs together to get their final time. The team with the best final time wins a prize. Have each guest pick a random picture out of a hat and write a cheer based on it. Let the guests interpret their picture any way they want. For example, if their picture is of a lion, they can write a cheer for a made-up sports team called The Lions, or one that's an ode to the real-life animal! The pictures can range from normal things, like a soccer ball, to silly things, like a trash can or a coffee mug. Choose an age-appropriate cheerleading movie and play a scene where the movie characters are performing a cheer routine. Working as a team, have all of the party guests try to mirror the routine they see in the movie. Re-play the scene as needed until everyone's learned all of the moves. This activity is mostly just for fun, but can also be helpful in letting guests practice cheer moves they may not have tried before. First, review a few basic stationary cheer moves with the group (High V, Daggers, Touchdown, etc). Next, have all the guests line up, and call out cheer moves for the group to do. Gradually increase your speed, calling out different moves faster and faster. If a guest does the wrong move, or does the move too slowly, they're out. When only one person remains, they win a prize. Play through a few rounds, and at the end hand out small prizes to everyone for their participation.